GAPPS is our powerful AdvantEdge Potential to Performance System. 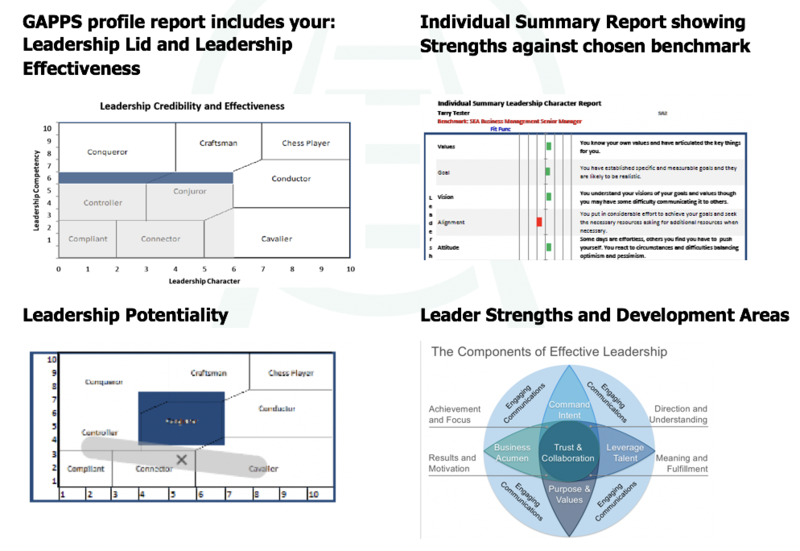 Unlike other leadership assessments, GAPPS provides you with a comprehensive profile report showing your leadership effectiveness and potential. GAPPS identifies your current strengths AND your priority development areas AND your potentiality as a leader. With links to our unique, interactive online learning system. The GAPPS full assessment includes personal feedback coaching (90 minutes) by video conference. You will also receive access to the AdvantEdge Coaching System Platform – complete with hundreds of “Little Learning” tutorials, focused, interactive and application-centric applications and fully supported online learning tool. Additional comparative profiles of teams, culture fit, recruitment and all parts of the employee life cycle are available to accelerate and improve your interventions. Developed by Dr. John Kenworthy with colleagues Profs Malcolm Higgs, Prof. Vic Dulewicz and Dr Paul Aitken. This powerful tool provides a detailed, accurate and reliable leadership assessment. GAPPS has been extensively tested with a reliability Cronbach alpha of 0.86 and validated across the globe against 16PF, DISC, MBTI, Belbin Team Roles and Hay-McBer MCQ. 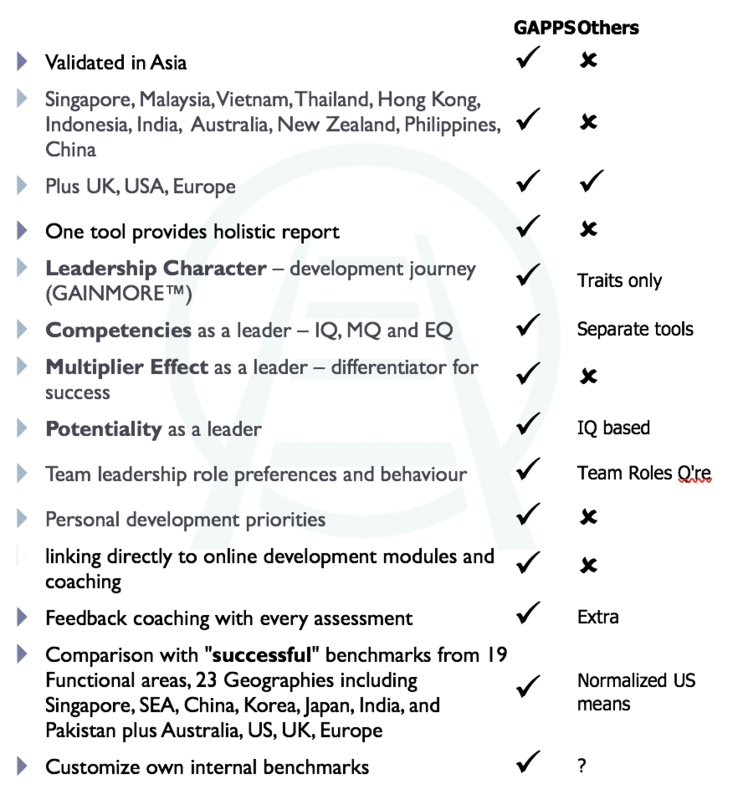 Unlike most leadership psychometrics, GAPPS3 has also been validated in Singapore and Malaysia and has benchmark profiles for Singapore, Malaysia as well as ‘Western’ norms. To unstuck your potential, one of the first things you need is an objective, accurate and useful assessment of where you are now and what is the quickest way to close any gapps you may have.